Commercial Window Replacement | Chicago, IL | Best Windows, Inc.
Best Windows, Inc. has been installing and replacing windows for property management companies in the Chicago area since 1998. We treat every job professionally, fairly, and honestly, no matter the size and scope of the project. 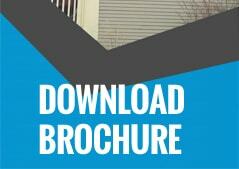 Whether you’re remodeling a home or building an apartment building, Best Windows, Inc. can help. In apartment and condominium buildings, structural materials are constantly shifting due to changes in the weather and temperature. These shifts move some of the weight onto non-load-bearing materials, such as flooring, walls, and even windows. Windows in commercial buildings need to withstand this extra weight. Commercial-grade windows, unlike residential windows, are made of tough, durable materials that won’t crumble or crack during high winds or everyday shifting. Commercial-grade windows can also be adjusted to satisfy your thermal or security requirements. If your windows are warped, cracked, discolored, and mismatched, it may be time to replace them. Replacing windows can also help regulate your building’s temperature, saving you and your tenants money in energy costs. When you’re considering replacing windows, consider your building’s age. If the property meets the “historic” guidelines for your area, the replacement windows must meet certain guidelines to maintain the aesthetic of the building. 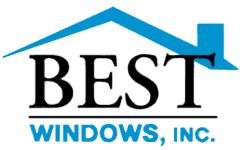 If you’re interested in having commercial-grade windows installed or replaced in your building, contact us at Best Windows, Inc. today for a free quote on your project.